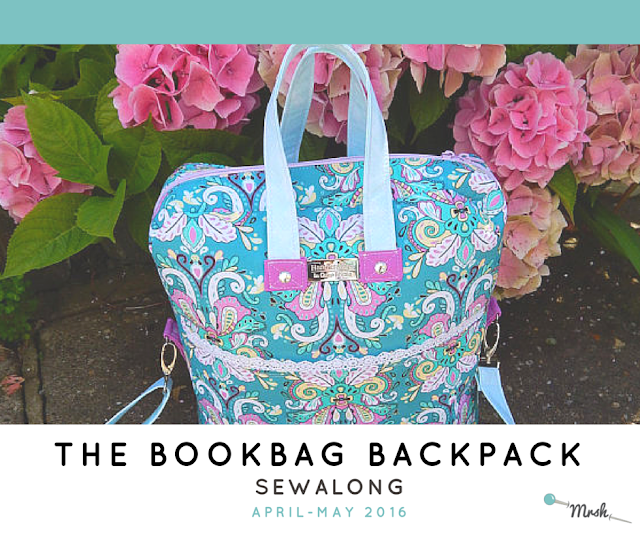 We are thrilled to announce a new sewalong this spring, this time for the Bookbag Backpack. Just in time for any picnics, reading under the sun or starting a new hobby or class. The Bookbag Backpack has been one of our most popular patterns since its launch, together with (can you guess?) The Nappy Bag and the Companion Carpet Bag. The Bookbag Backpack is quick to sew, and like one of my customers says on Etsy in one of her reviews, you follow the instructions and in no time at all you have made yourself a beautiful backpack. The sew along will last for six weeks, from the first week of April, when we pick our fabric and get our bag making supplies and notions, to the second week of May, when we celebrate our hard work and showcase your beautiful, new, backpacks! If you'd like to add a button to your blog to support the sewalong and show you're participating, here they are!